« Want to learn more about Quadropolis? How about watching a few videos? Quadropolis Rules are now available for download! 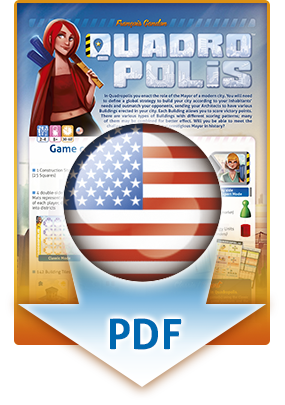 As promised yesterday, we’ve just uploaded the game rules on the Quadropolis website. This entry was posted on Wednesday, February 10th, 2016 at 16:26 and is filed under Big Adventure Games, Games, News. You can follow any responses to this entry through the RSS 2.0 feed. Both comments and pings are currently closed.